What is an Intellectual Property and how can we protect it? An intellectual property is the creation of your mind; like a music symphony, a book, or an idea which is creative but intangible. It is very important to note that the things incorporated into intellectual property are totally intangible and their worth only counts when you have secured them to your name via intellectual property protection. Intellectual property protection helps you secure your rights over certain creations of your mind, so that others won’t lay claim over it, in the future. If you haven’t secured an intellectual property then someone could steal your idea and secure it to his/her name. As a result, your chances of making benefits from it will go extinct. A copyright, when preserved, authorizes you over the rights of an original work like a book, a photograph, a movie, an artifact, or an architectural work. A patent is considered to be an inventor’s intellectual property as it preserves processes, inventions, and discoveries. 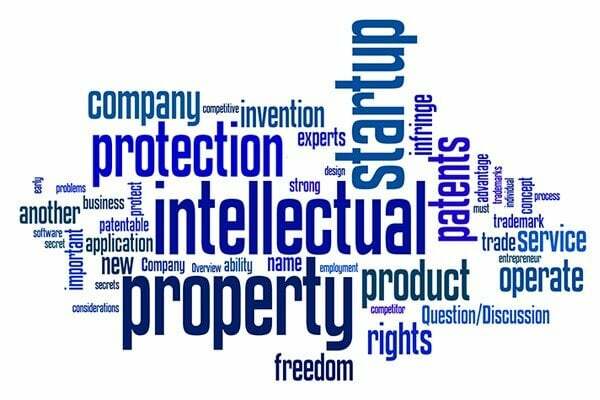 The patents are usually secured for industrial purposes and the holder of a patent has the rights to claim the authority over a process which no other company in the competition can use without the permission of the former. Trademark protection involves preserving the authoritative rights over a significant design or a logo. Once you have protected a trademark, only you will be eligible to use it on your products and supplies. An encircled ‘R’ is used to denote a registered trademark, where the ones which are not registered use TM sign to lay claim over them. File Protection: When an idea strikes your mind, the first thing you need to do is file for protection. Depending upon the type of idea you had, you can either file for copyright, patent, or trademark registration. Hire a Lawyer: A lawyer which deals with intellectual property protection activities should be hired while filing for protection. It is better to have a professional legal advisor along your side in such situations. You will easily find individual lawyers and law firms offering services in intellectual property protection and patent. Hire an affordable one with vast practice experience. It is better to ask for clients reviews while meeting multiple lawyers for their services. Do your Homework over your Ideas: Presenting half-processed ideas for protection will be a silly business. Always make sure that you have a fully-baked idea which needs protection and security. This will need you to work on the ups and downs of your work, study the market, and evaluate where your idea stands. If you think you have a fully developed idea which is unique, then go for its rights protection. These are some simple things with which you can protect your mental creations from copycats. Follow our blog for more information.